Garvin Law Firm will represent your Personal Injury legal matters. Recipient: Practice Court Award; Best Trial Lawyer Award. Author: "Post-Judgment Discovery," No. 185, The Journal of The Academy of Florida Trial Lawyers, February 1978. Co-Author: "Trial Advocacy: The Official Handbook of the Academy of Florida Trial Lawyers," Academy Press, 1991. Past Lecturer: The Florida Bar; Academy of Florida Trial Lawyers; Georgia and South Carolina Trial Lawyers Association; Association of Trial Lawyers of America. Member and President, 1999, Sanibel/Captiva Rotary Club Trust Fund. Member, Board of Directors, 1989-1995 and President, 1991-1994, Edison Community College Endowment Corporation. Listed in: "Best Lawyers in America," 2005-; Florida Super Lawyers, 2007. Private Pilot, Single Engine Land and Multi-Engine Land Instrument Rating, 1975. Member, Million Dollar Advocates Forum, 2004. Leland Eric Garvin, a Florida native and second generation trial attorney, began his legal career working as a Prosecutor. While at the State Attorney's office, he gained invaluable trial experience representing the State of Florida in countless jury trials at both the misdemeanor and felony levels. Prior to taking the job with the State, and throughout law school; Mr. Garvin worked for one of the larger personal injury law firms in South Florida. When he wasn't handling injury and auto accident cases; he made time for the Moot Court Honor Society. It was during his time with Moot Court that he developed a love for the courtroom and passionate advocacy. After leaving his job as a prosecutor, Mr. Garvin started his own firm handling both criminal defense and injury cases. More recently he and his father Jeff decided to combine their two practices to better serve the needs of their clients. In 2009, Leland was selected as "one of the best up and coming attorneys" in the state of Florida by Florida Trend Magazine and listed in the 2009 edition of Strathmore's Who's Who. 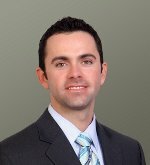 In 2010, Mr. Garvin was named by Florida Super Lawyers magazine as one of the Top Young Lawyers in Florida. Only 2.5 percent of the lawyers in the state are selected by Super Lawyers for this list. Leland was also selected as one of the top 40 lawyers under the age of 40 in Florida by The National Trial Lawyers Association in 2012. He serves on the Board of Directors of the Young Lawyers Section of the Florida Justice Association in addition to being a member of the PULSE Committee for the American Heart Association. Leland is a member of American Association for Justice, the Florida Association of Criminal Defense Lawyers, Broward County Justice Association, Broward, and Lee County Bar Association. He concentrates his practice in the areas of personal injury, wrongful death and select criminal defense litigation. He is admitted to the Florida Bar, the U.S. District Court for the Southern District of Florida and the Middle District of Florida.